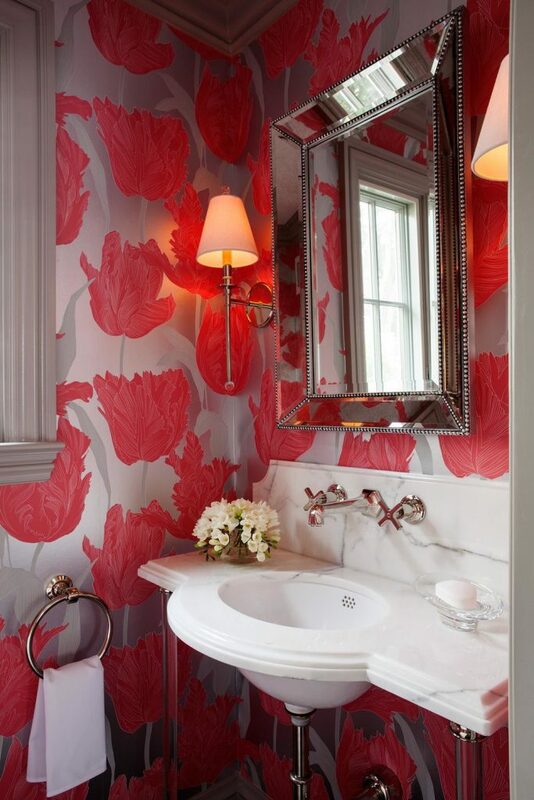 My favorite room that ‘asks’ for wallpaper is the powder room. 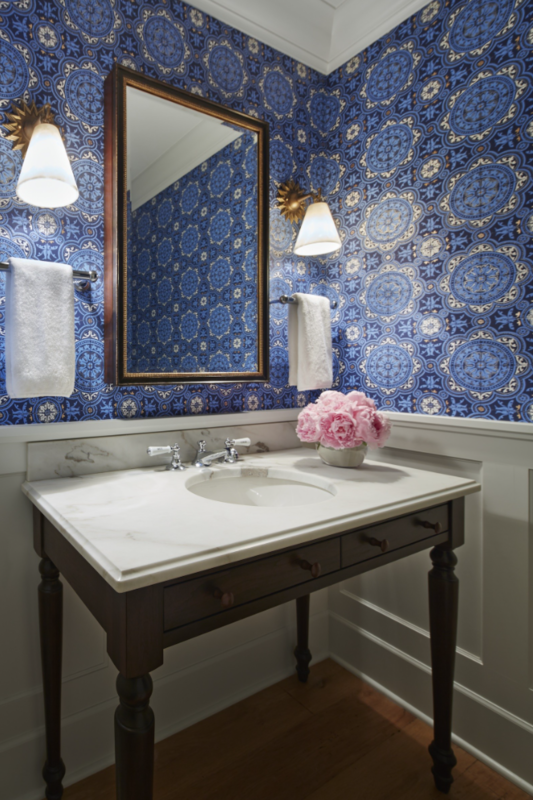 A powder room (often called half bath or guest bath, is usually a small bathroom with only a toilet and a sink. 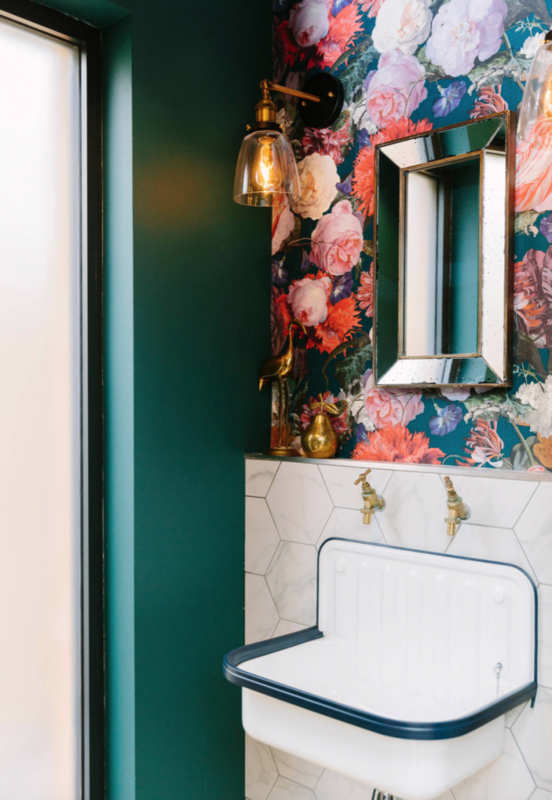 To me, it is the room that most guests will see and use as it is usually located by the main living areas of the house, so it is fun to show off! 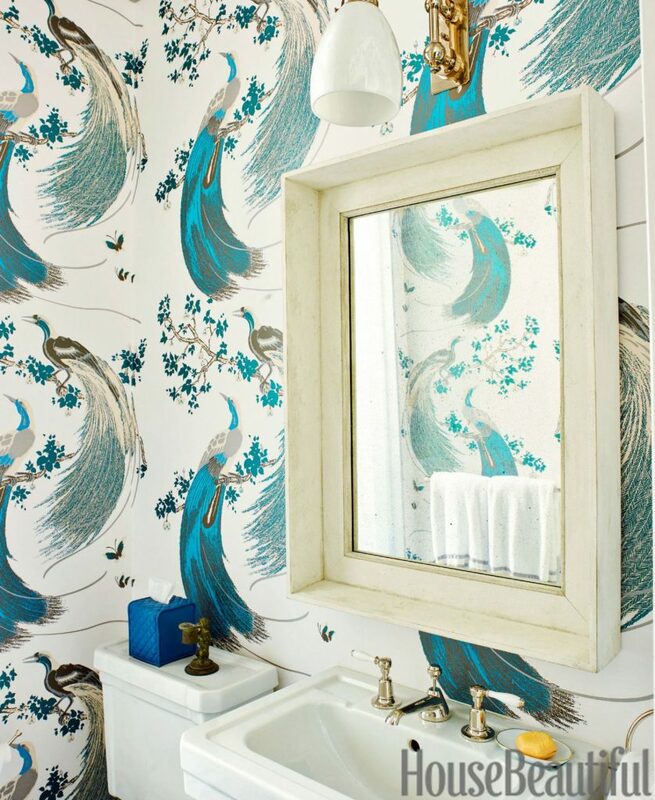 The powder room is the room that can you can splurge on and let your creativity and design gene being activated. 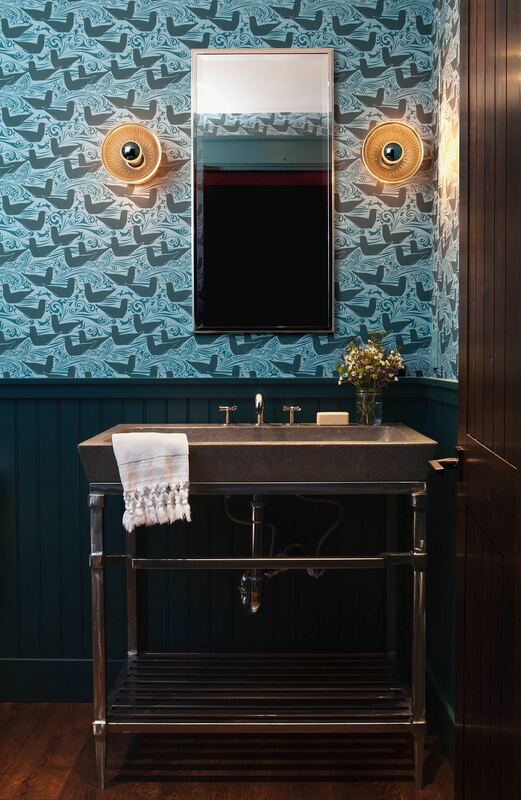 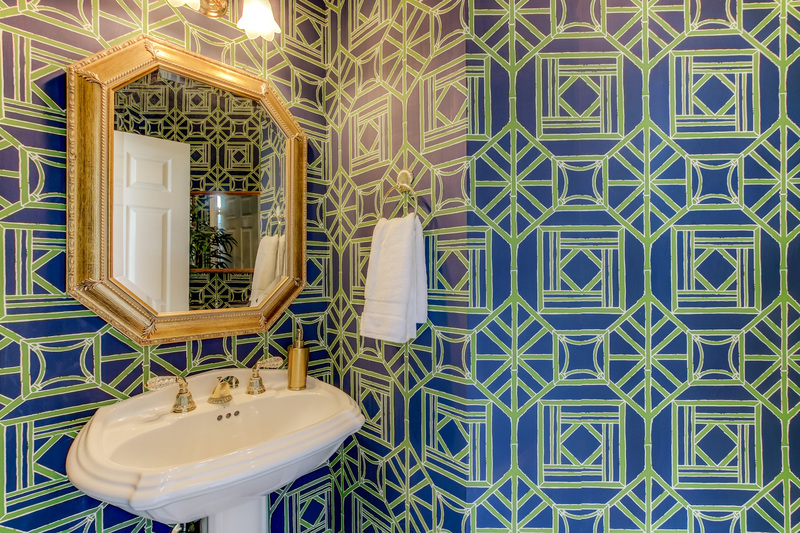 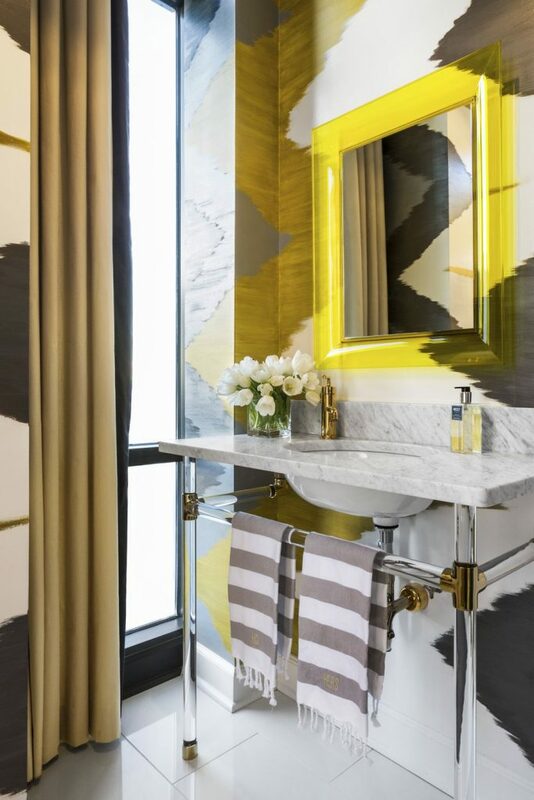 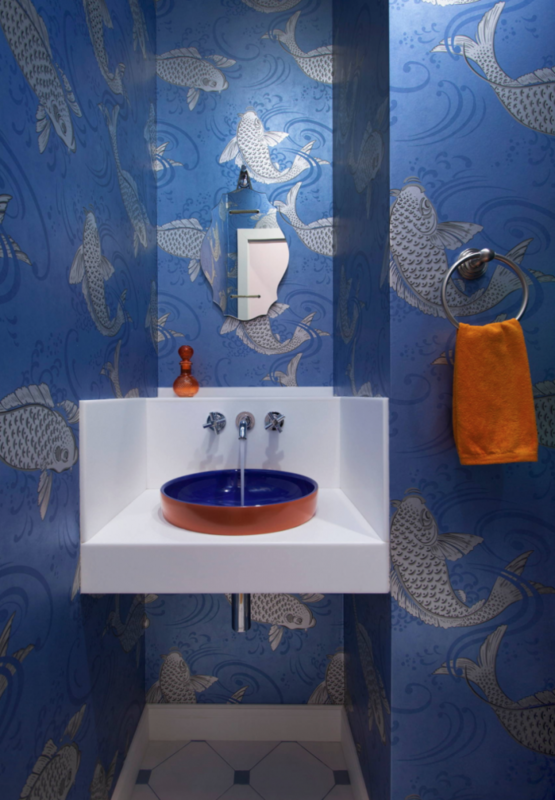 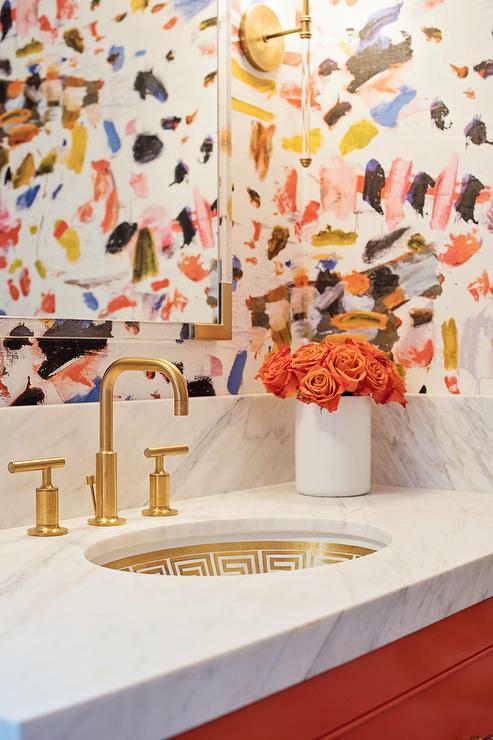 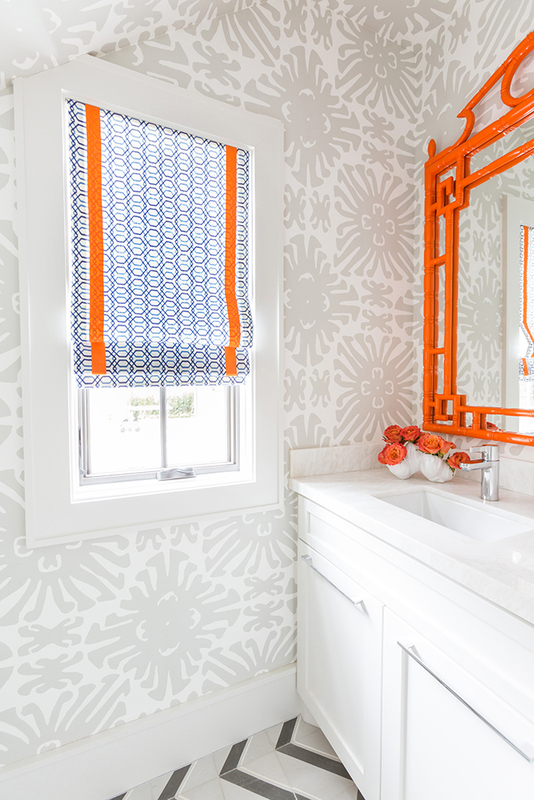 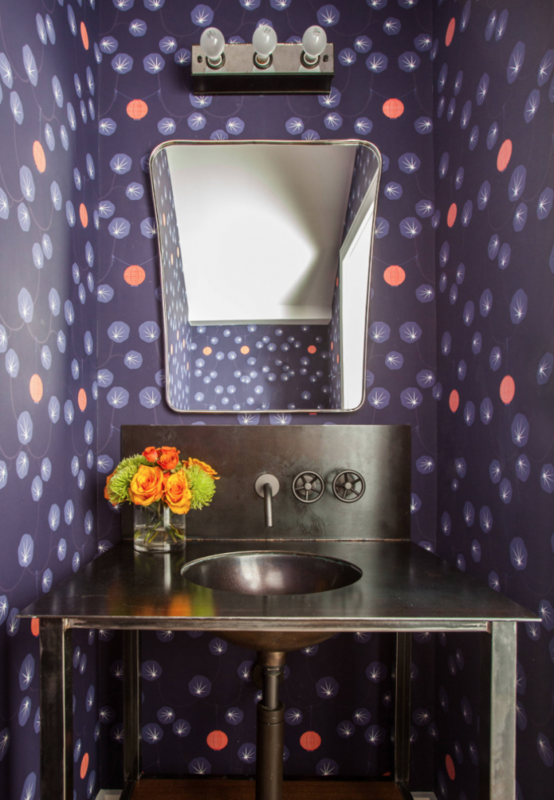 Powder rooms allow you to apply different materials, strong colors and fun patterns. 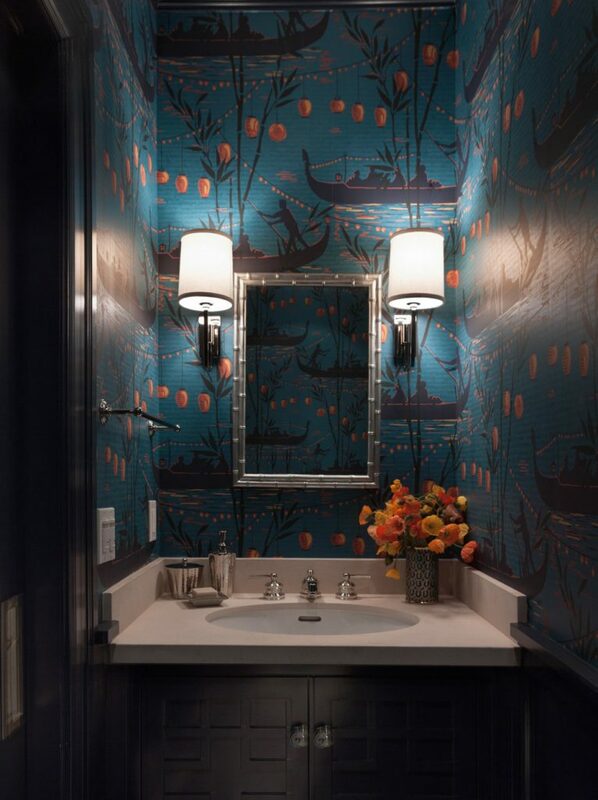 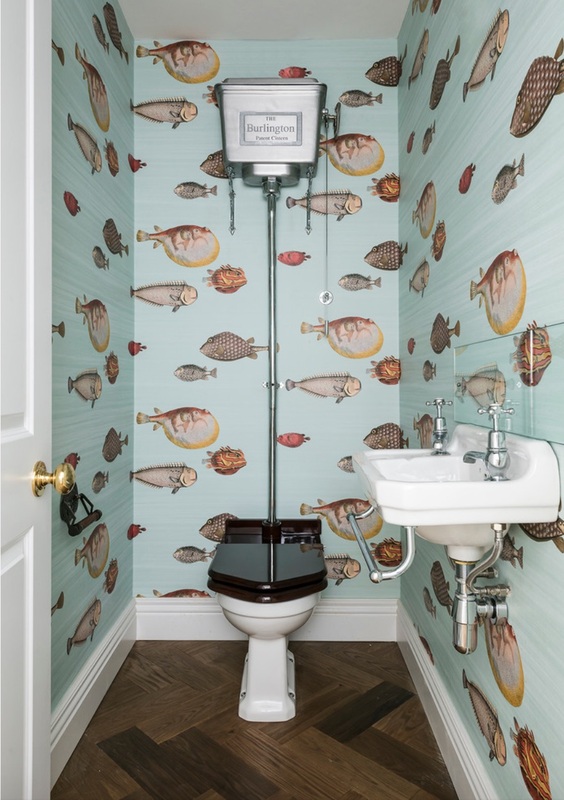 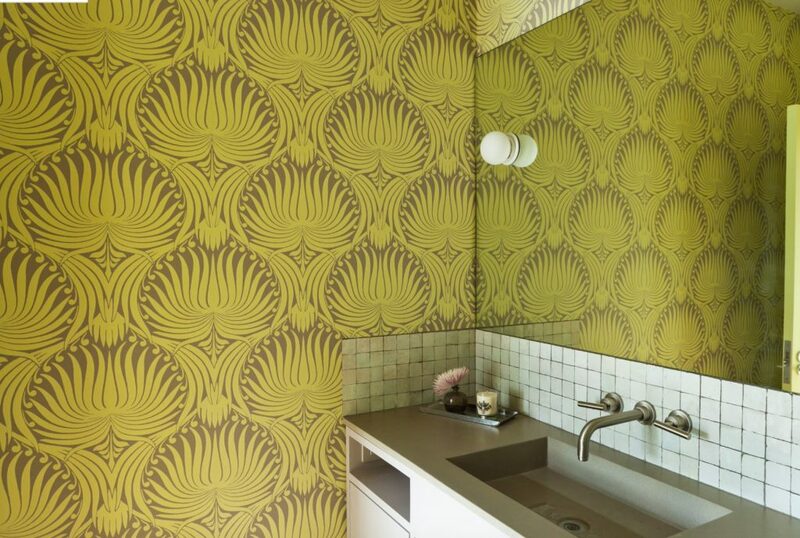 With the array of wallpaper qualities we have nowadays, the powder room can be turned into a piece of art. 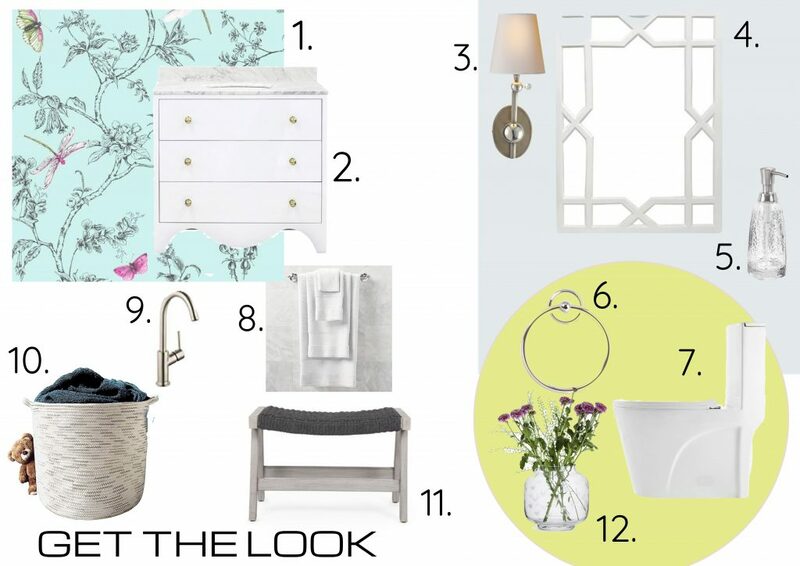 In this post, I pinpoint a few of my favorite designs, the ones that I could look at all day long . 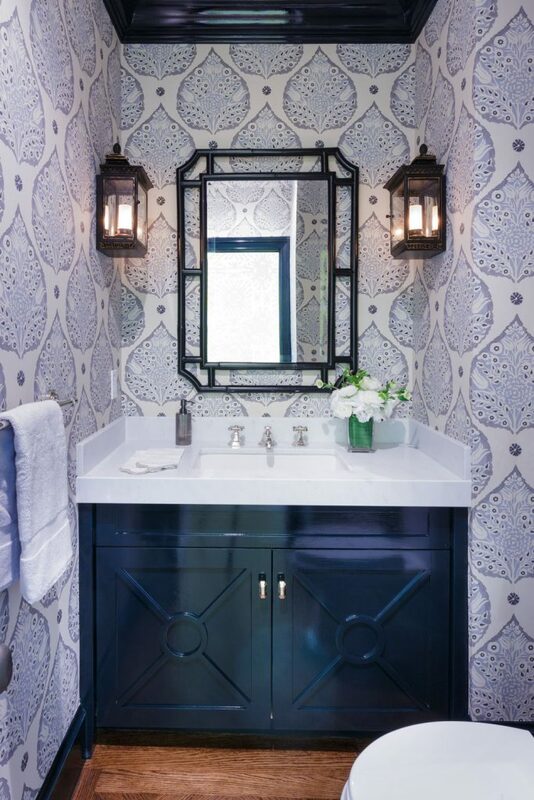 . .
Another Chippendale classic this lattice in navy and green by Thibaut, imitates a tile wall treatment. 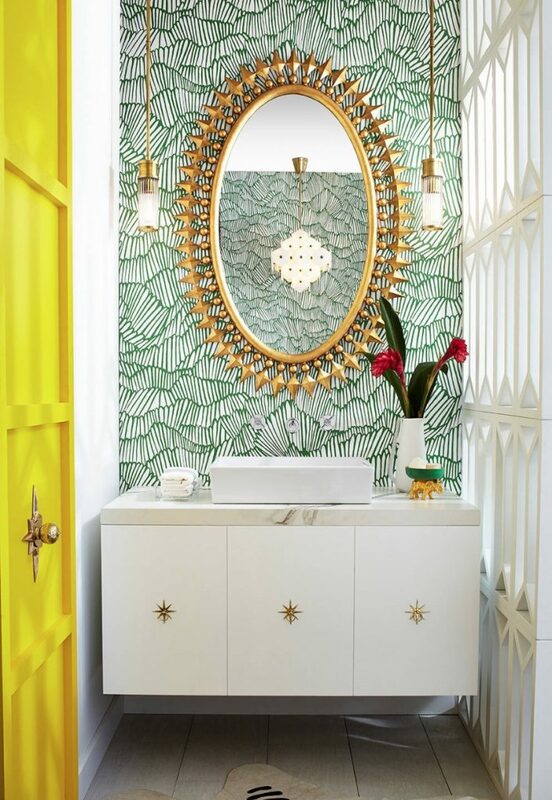 A so boring bathroom can turn up to a fun space! 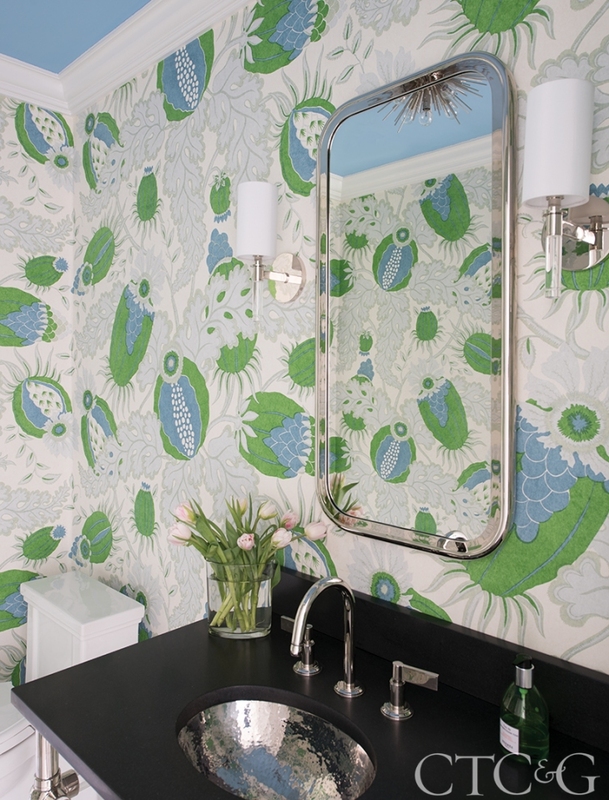 I am smitten by this beautiful floral pattern in blues and greens by Good Bones Design. 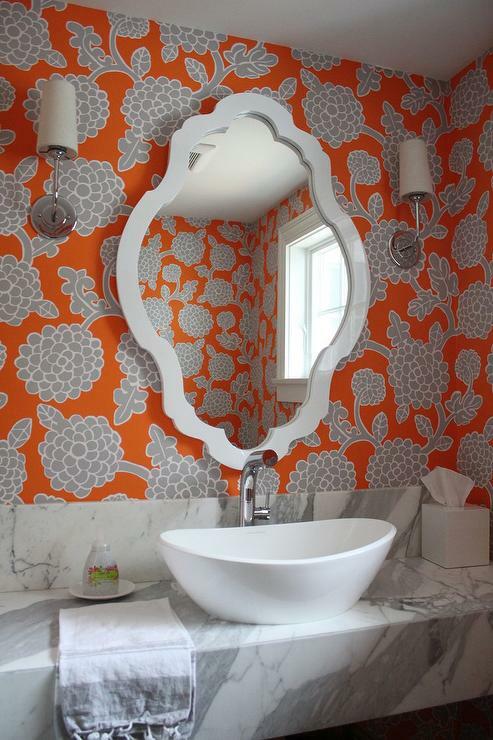 And the ceiling color choice is right on the money… Love! 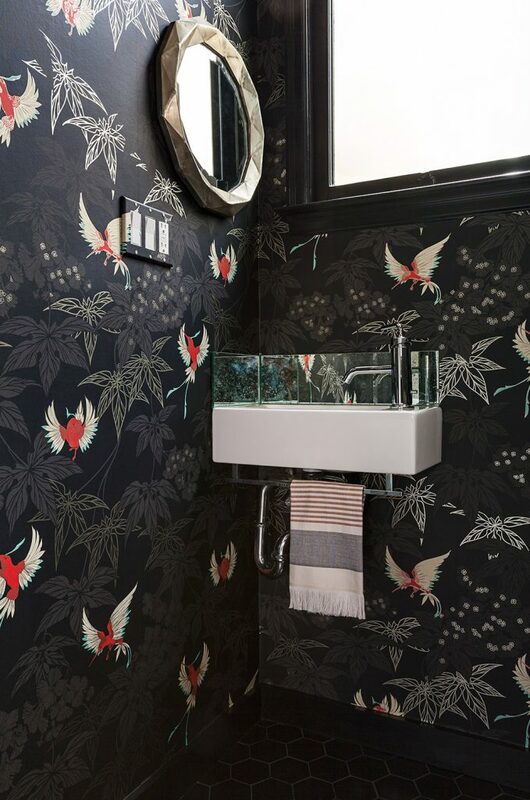 The timeless Cole & Son pear tree wallpaper rendezvous with the contemporary concrete sink. 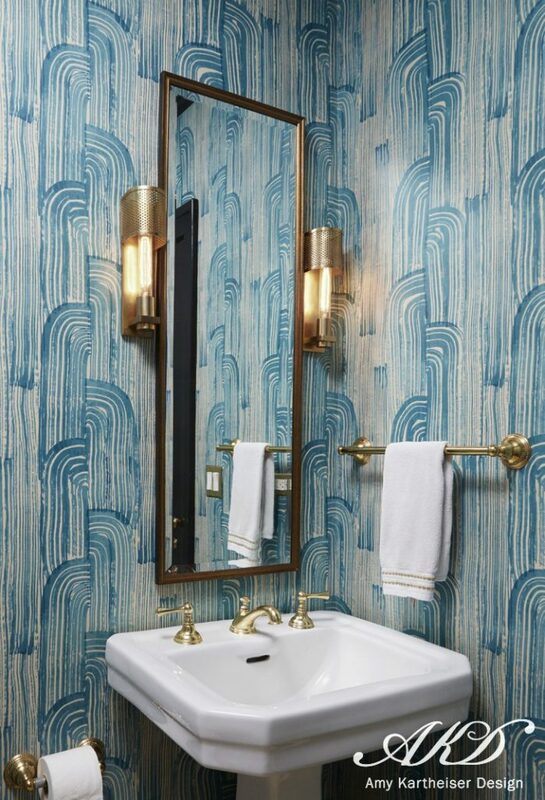 The sleek design by Creative Tonic brings to this bathroom lots of texture and an industrial feel. 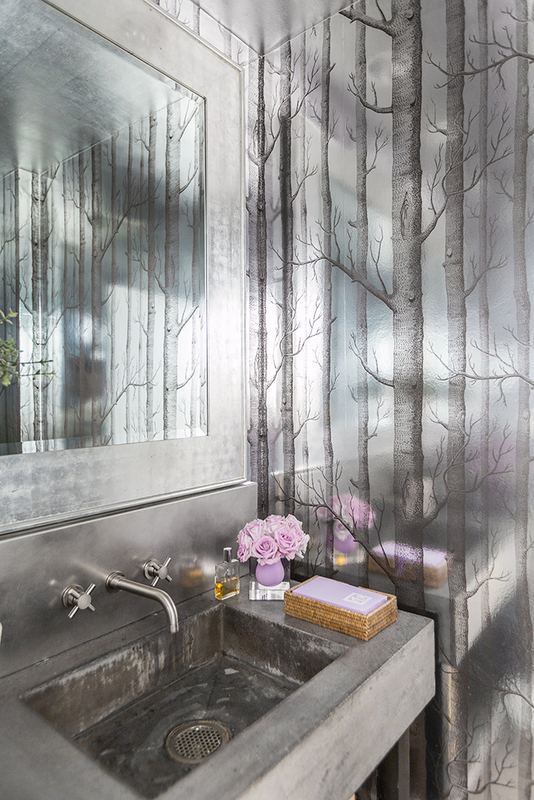 I love the exotic flora of this bath! 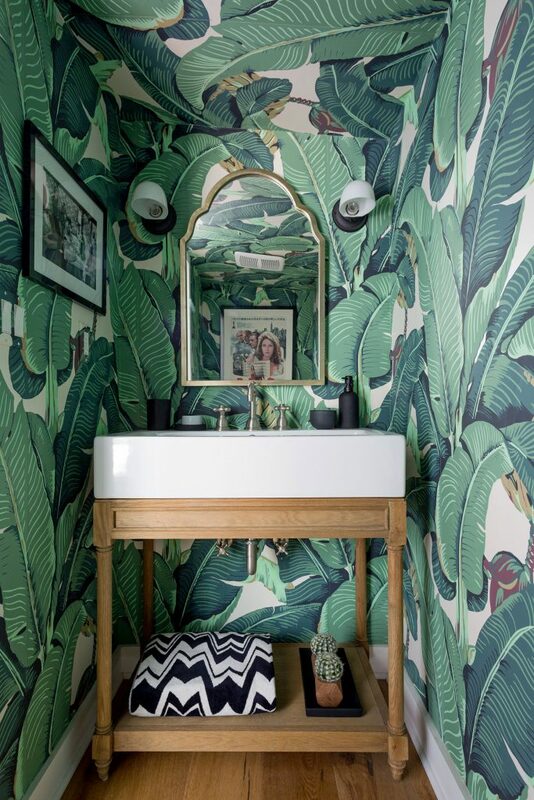 The banana leaves take over so much that you really think you are in the jungle. . .Photo by Amy Bartlam. 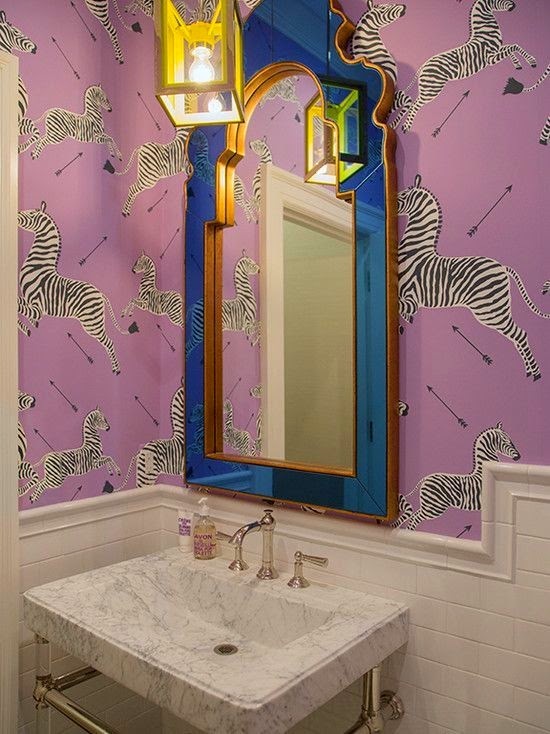 Design by Sandra Fox Interiors. 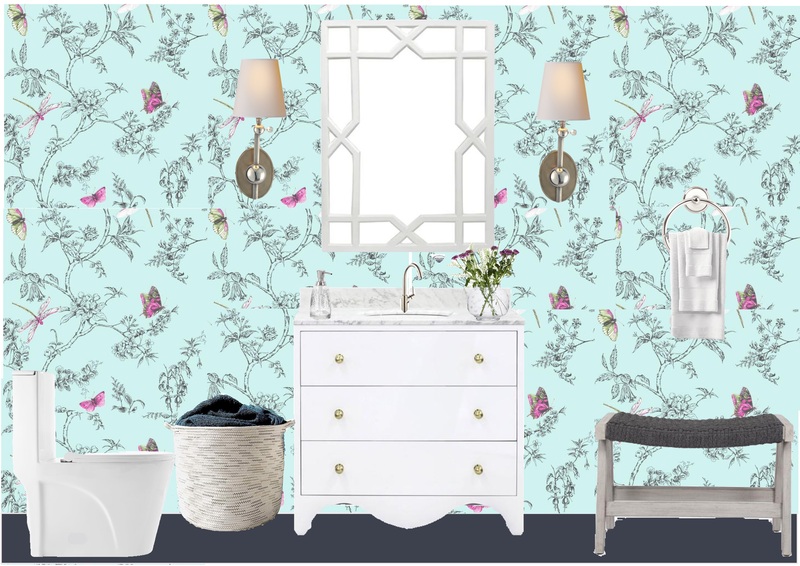 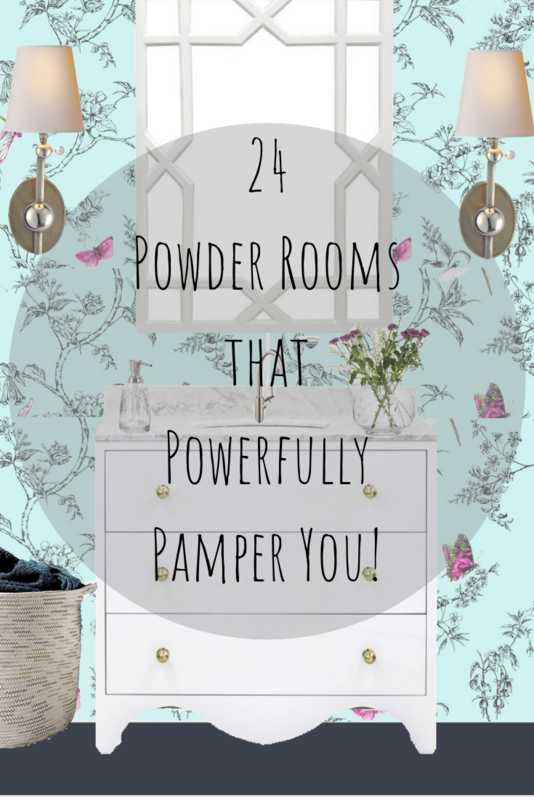 Are you now ready to jazz up your powder room?